Fast action fun for cats. Light, soft, and durable. Cats learn to fetch this toy. They can carry the crinkle ball around in their mouth, and keep it close by for instant play. An absolute favourite among all cats. This toy will get your cat active and keep them exercising. 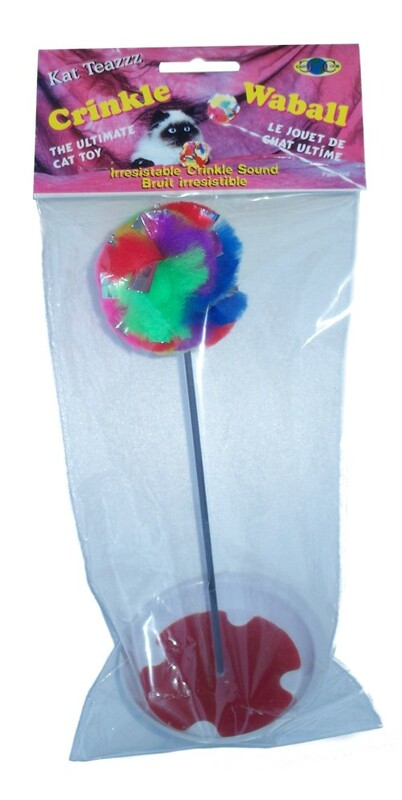 The patented Crinkleball is made of 100% acrylic fibers and acetate film for the ultimate in safety. We do not use Mylar to make the Crinkle Ball.